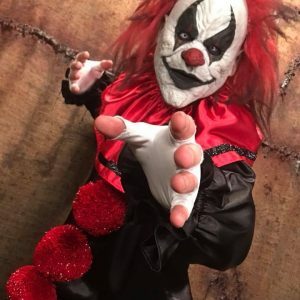 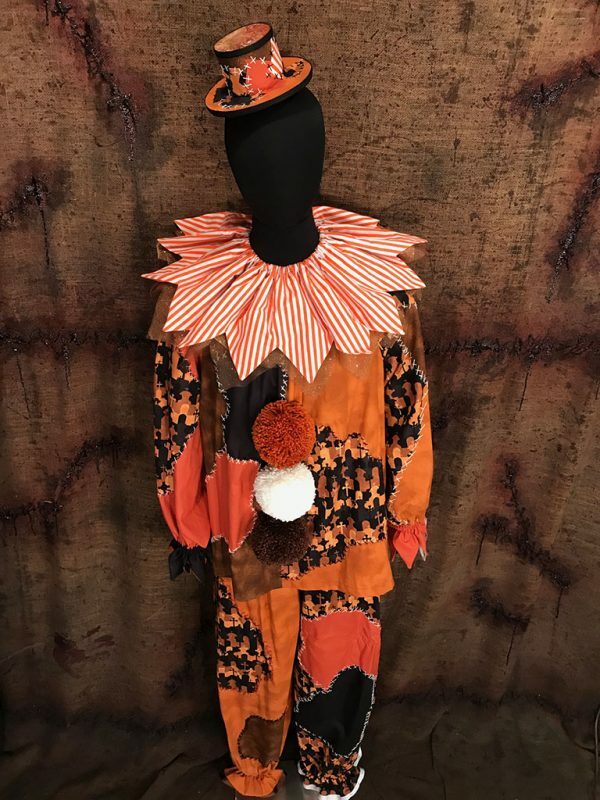 Introducing Rye the Stitched Clown! 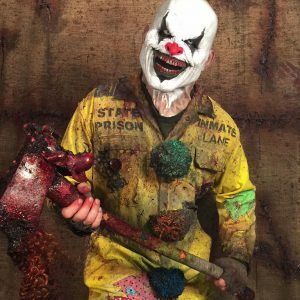 The third release of our all NEW line-up of classic/vintage Stitched clown designs from Dark Creations ATX! 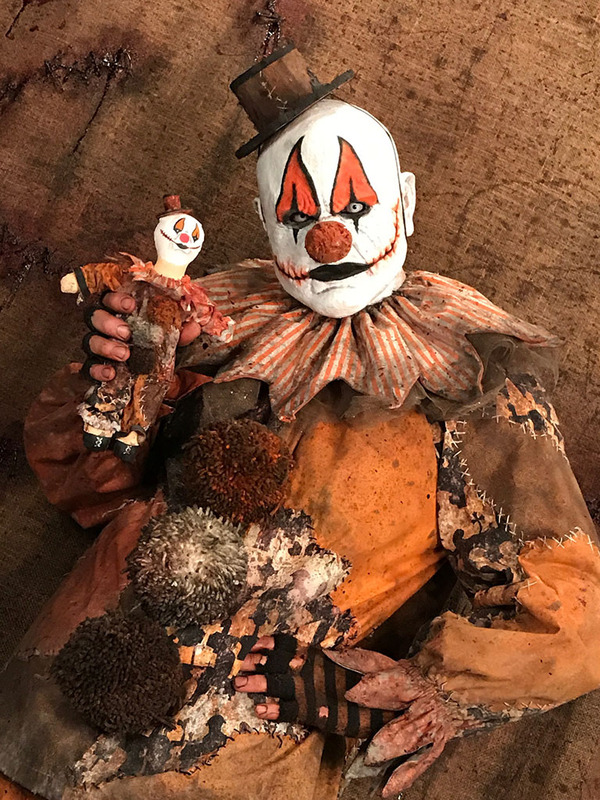 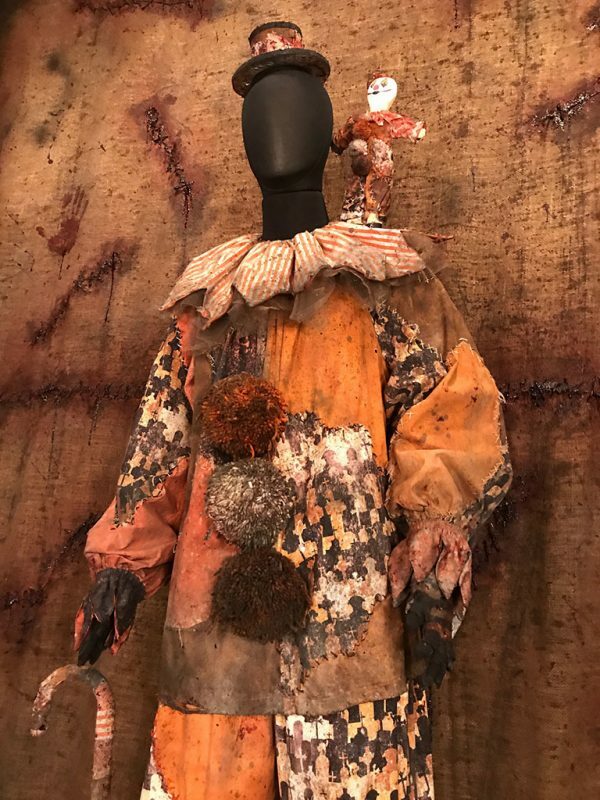 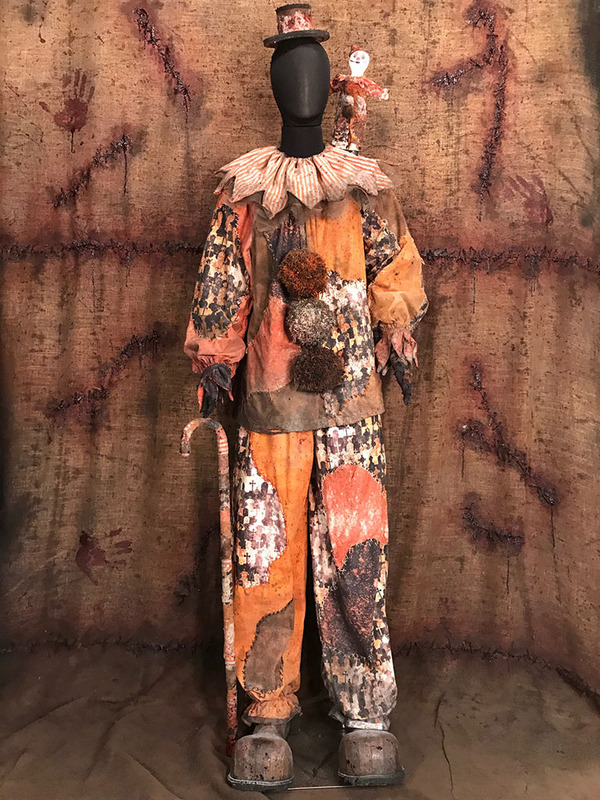 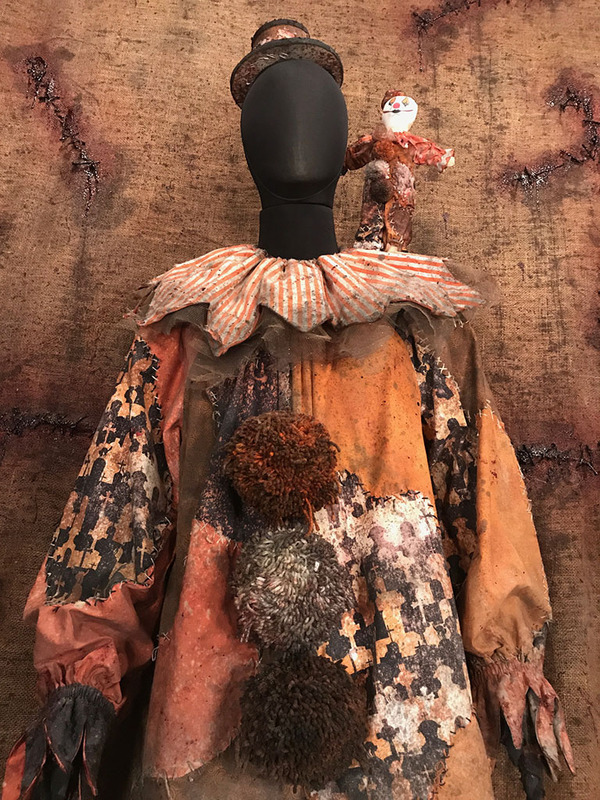 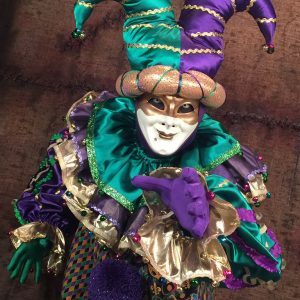 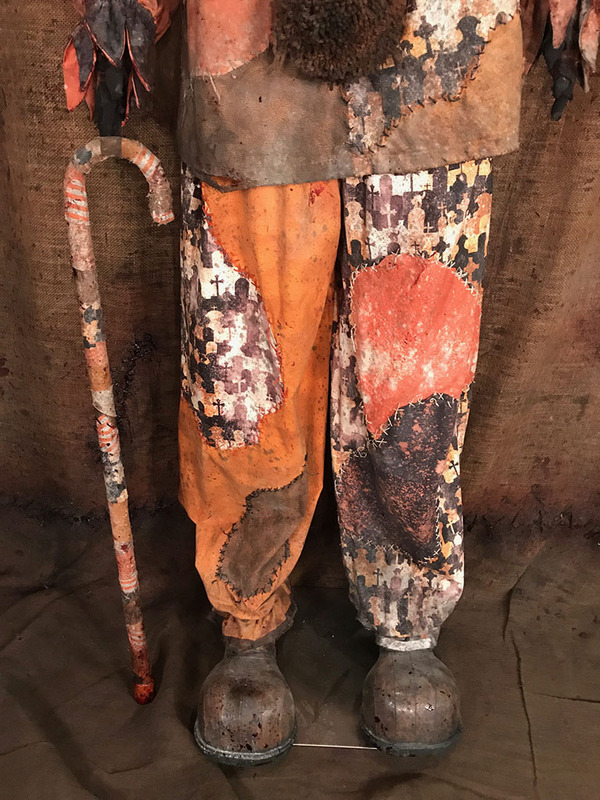 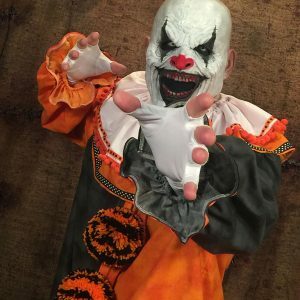 The brother of Gil, Blye, and Syn – Rye is also a fully hand stitched “in pieces” costume …another new unique offering to the clown costume world! 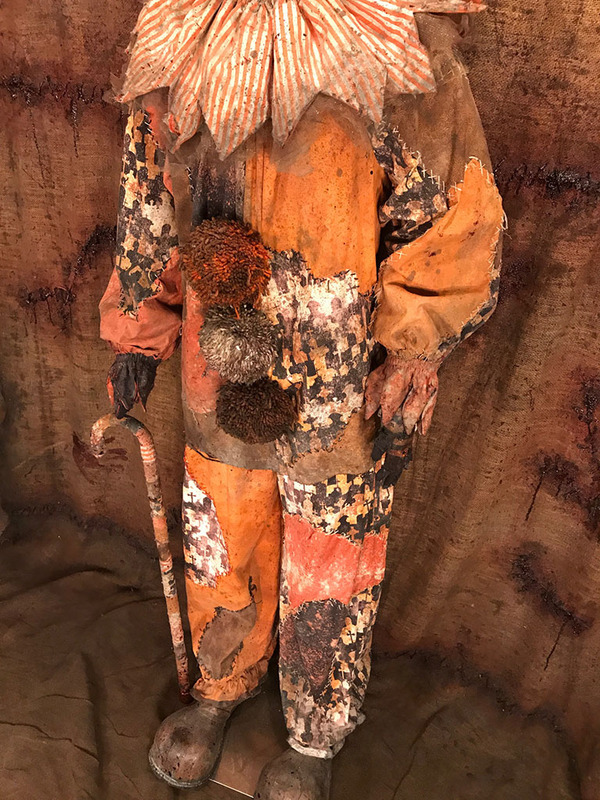 This two-piece original design features various shades of black, orange, browns, whites and other matching themed fabric with hand stitched patches arranged throughout the suit giving it that vintage look. 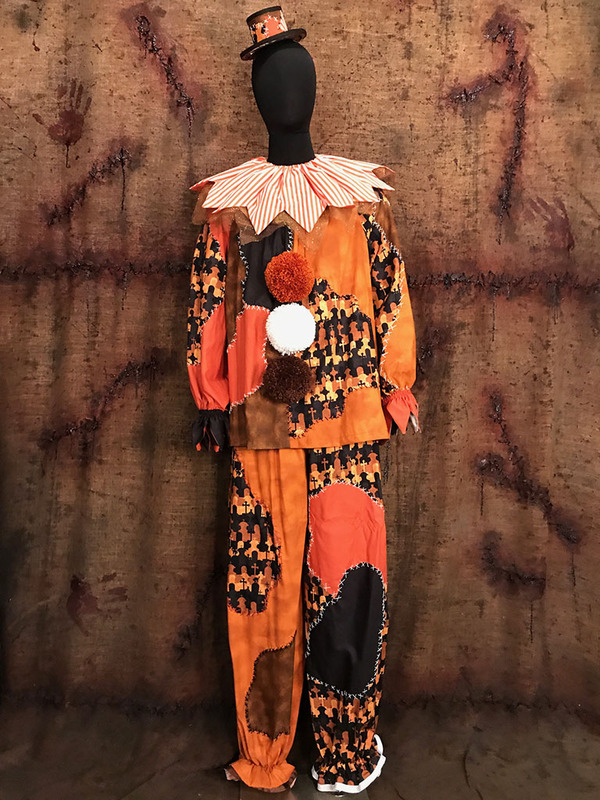 The detachable, ruffled collar is made of orange and white pinstripe fabric which features pointed tips and sits on top of a second ruffle made of black and orange fleck tulle. 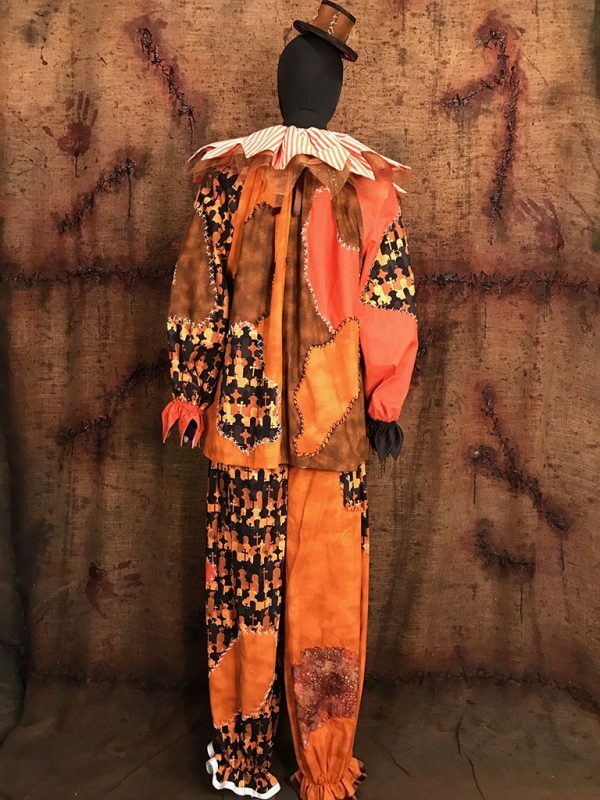 Pointed tips are repeated on each of the suit’s sleeves. 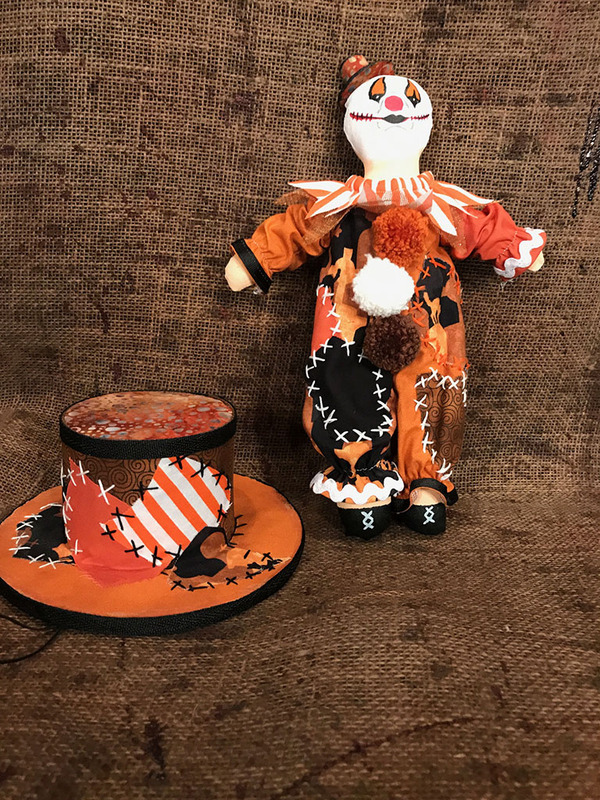 Three over sized detachable, variegated pompoms of black, white grey and orange combo finish off the overall look. 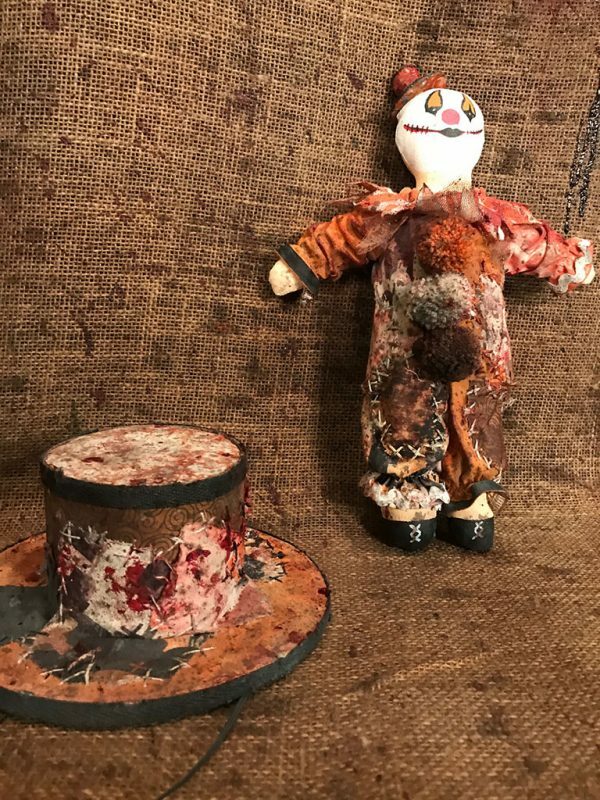 Paired up nicely here with our Rye is the Candyman clown from the artists at Dark Design Studios http://www.darkdesignstudios.com.